A boring regular human trying to do what should be obvious given simple analysis of the world. time after time I&apos;m really surprised when some people say Bitcoin is bad because it&apos;s capitalism. But listening to something like this: https://invidio.us/watch?v=LgI0liAee4s I would expect these ideas and solutions to be music to the ears of anticapitalists. The core idea of peer-to-peer economy without banks as intermediaries is about as punk as it gets, no? Which one do you, people of sunbeam, prefer? For me, reading the news and recent history is a constant vacillation between "How on earth did we wind up with actual Nazis making a reappearance?!?!?!" and "Oh, of course, that&apos;s how"
It&apos;s funny how easy it is to add new tax for "tech giants" (whatever that means), but carbon tax seems to be completely forgotten and missing. Sunbeam City is an inclusive community, people of all races, all sexes, all backgrounds are welcome. But point out that the beginning of a sentence directly contradicts the end of the sentence and you will be banned from ever thinking that self sustainable solar is the way to go. There&apos;s all the difference in the world between "treating people equally" and "trying to make them equal"
Erdogan approving Erdogan nominating Erdogan as the chairman of the #Turkey sovereign fund worth $200 billion. 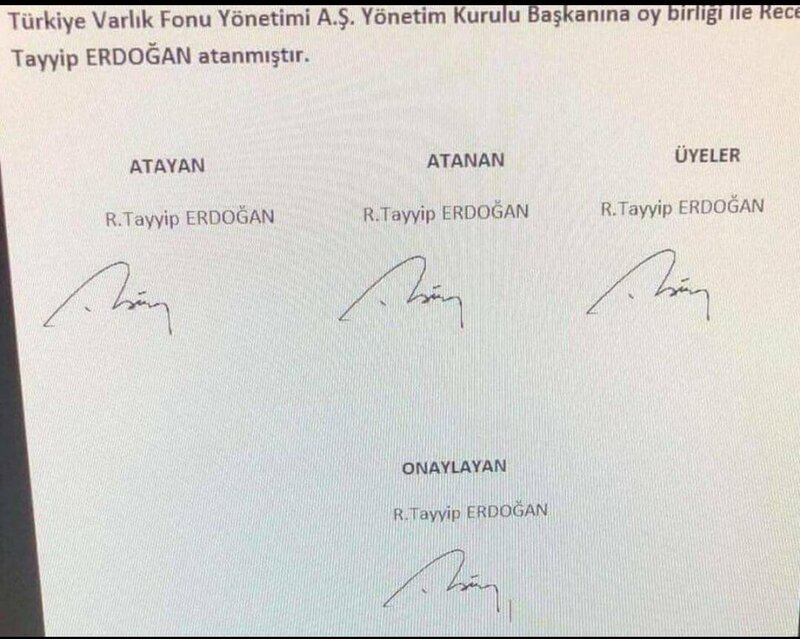 Signed - #Erdogan. "any reminder that an issue is “political” can spoil the whole thing." seems like google is eavesdropping on my mastodon discussions and giving me these youtube suggestions now: https://www.youtube.com/watch?v=D99qI42KGB0 how capitalism is able to fix it&apos;s own problems and stop destroying our planet. Not really solarpunk, but a nice summary. Also, I wonder if those who claim capitalism is incompatible with solarpunk are from the US? I WANT MY OWN PEDAL POWERED PLASTIC RECYCLING MACHINE!! Alright, new topic, much more relaxing. Who of you have seen the movie Downsizing? why does #solarpunk have to be political? (having anti-capitalism as the first value) is there any reason to expel capitalist solarpunkers?